The Courage of Others is Midlakes third, and finest album, and is the follow-up to 2006’s The Trials of Van Occupanther. Released on former Cocteau Twins bassist Simon Raymonde‘s Bella Union label (which is also the home of Fleet Foxes & The Dears), the album has received mixed write-ups on Amazon, with some listeners complaining about the lack of variety and pace, and how there are no tracks as instantly compelling as Roscoe or Head Home. On first listen, that might be the case, but listening to the album in it’s entirety, in order, you know, the old fashioned, pre-Ipod shuffle way, the songs creep up on you. And that’s the key, don’t expect instant returns here. I received the CD in the post on Monday morning, and 48 hours later, the music is working its magic on me. 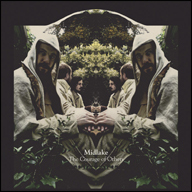 The Courage of Others is a much more pastoral sounding Midlake album. Whereas the sound of The Trials of Van Occupanther was influenced by Classic Rock, and mid 70s Fleetwood Mac in particular, The Courage of Others is a more slower paced album, and is apparently inspired by British Folk, and artists such as Nick Drake and Fairport Convention in particular. 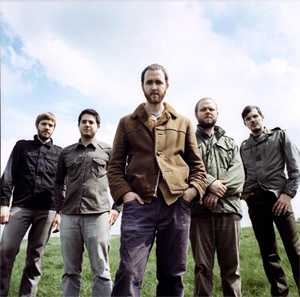 Rulers, Ruling All Things was the first song to hit home, and is the closest to previous Midlake songs. The song is the first in a trilogy of the albums strongest songs. Children Of The Grounds is one of the few mostly electric songs on the album. Before anyone shouts “Judas”, the following track Bring Down, brings back the acoustic guitars, flutes and the mood of summers long past. Tim Smith shares the vocals with Stephanie Dosen on Bring Down, to my ears the standout track on the album. There a real mood of melancholy in The Courage Of Others, which is no bad thing. If you stick with the album (it is an album after all, not a collection of songs) and don’t dip into individual tracks, but treat this as a complete work, you are likely to be rewarded with an album that will stay with you for a long, long time.